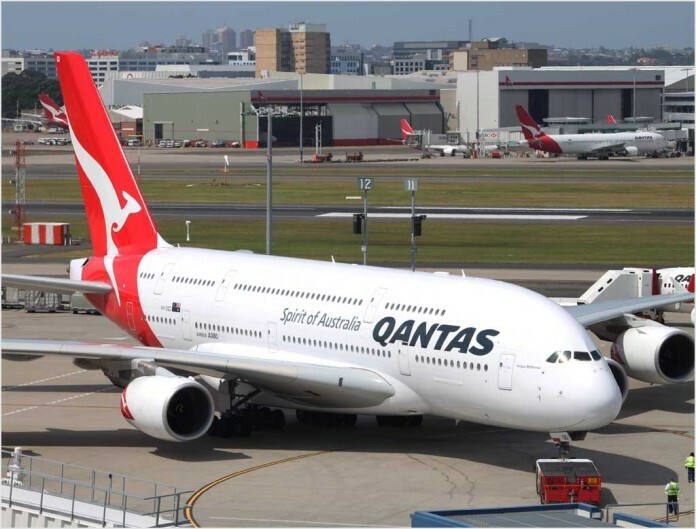 news Passengers on a Qantas flight from Sydney to San Francisco yesterday had the novel experience of a mid-flight TEDx lecture that the organisers have called “the world’s first tech talk in the sky”. ‘Ideas That Travel’ – a partnership between Qantas and TEDxSydney – saw four Australian technology and science innovators share their vision for the future of technology and design in a series of talks held in the nose of the Qantas B747 during the 13-hour flight. The talks were live-streamed to passengers via the in-flight entertainment system and available online following plane’s arrival in San Francisco. The series will also be screened during TEDxSydney on 25 May 2016. Joining the speakers on flight 73 were a group of 10 Australian tech entrepreneurs and startups sourced by innovation hub, The York Butter Factory, and Australian supplier diversity organisation, Supply Nation. “This is the perfect route for a world-first. We all know about the impact of the California tech boom, but what’s really exciting is the growing number of Australians doing business with Silicon Valley on the one hand, and building a home-grown Australian culture of entrepreneurialism on the other,” she said. Wirth further explained that the reason for the relaunch of flights between Sydney and San Francisco was to support growing business travel driven by the recent tech boom. “[W]e’re looking forward to playing our part in strengthening the ties between innovators on both sides of the Pacific,” she added. The group of Australian start-ups travelling on the flight will tour the world headquarters of tech giants Google, Twitter, Facebook, Khan Academy and Silicon Valley Bank. They will also participate in workshops at the Singularity University to help the startups move their business plans forward and explore new business opportunities on both sides of the Pacific. During the trip, the startup group also wore Fitbit devices to trial a new Qantas wellness app called Assure, which launches later this year. The TEDx Program is designed to help communities, organisations and individuals to “spark conversation and connection” through local TED-like experiences. Singularity University is a California Benefit Corporation that is part university, part think-tank and part startup incubator located in Silicon Valley.